Heidi, Logan and Michael Coble love spending time on the front porch swing. 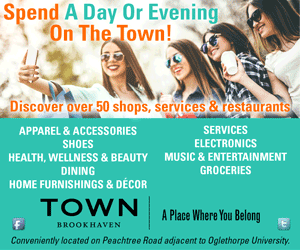 In 2001, when then-bachelor Michael Coble decided to move intown from Alpharetta and reduce his work commute, he had no idea where to look for a new house. “I didn’t even know Midtown existed, to be honest with you,” he says. “I was definitely an OTP person.” Not surprising for someone who had been living in Alpharetta since 1985, especially since he worked from home. He spent approximately four months scouring everywhere from Chastain Park to Midtown. When he saw this two-story Colonial, he knew his search was over. “I fell in love with this house,” he says. At that time, the home had a “country French” look, as Michael called it, with a synthetic plastic stucco-type look on the front façade. The rest was covered in siding, with a basic deck in the back. 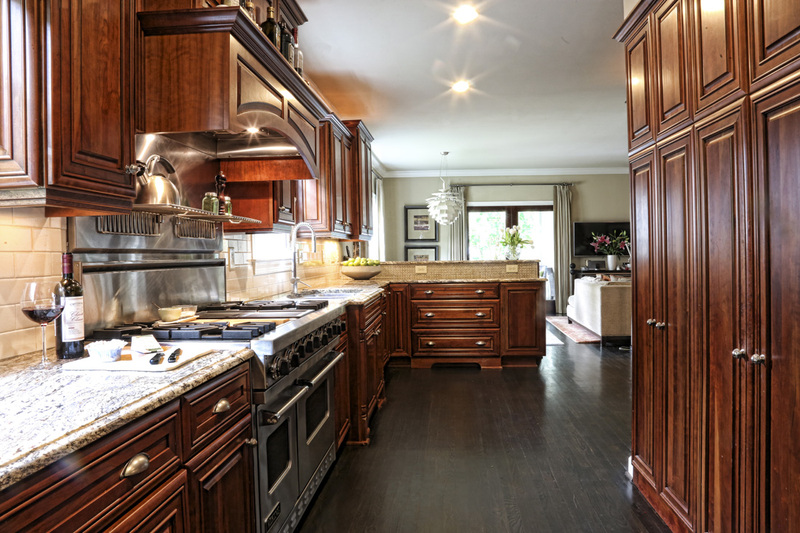 The kitchen was redesigned in 2006 to make it more conducive to cooking and entertaining. 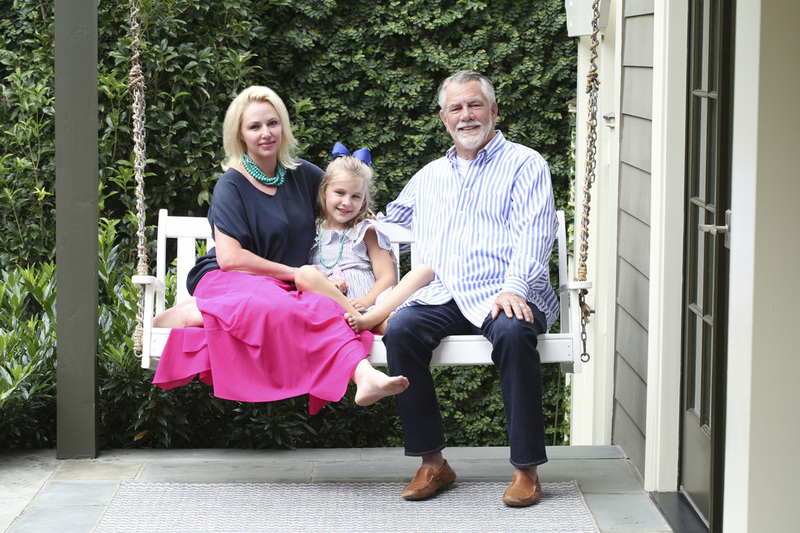 After Michael and his wife, Heidi, married in 2006, they began making improvements. First, they redid the kitchen. Today, it is filled with Viking Professional appliances, a Sub-Zero wine refrigerator and plenty of counter space that Heidi likes to use for cooking. In 2010, the couple remodeled the front and back exteriors, the master bedroom and bath, laundry room, guest room, basement and the bathroom off the library. The master bedroom now features a fireplace flanked by built-in cabinets, as well as a spacious sitting area. “The master is large and feels like a place you can escape to,” Michael says. The library has a comfortable feel with its cozy couch. In the library, they added custom shelving around the couch and replaced French doors with pocket doors. 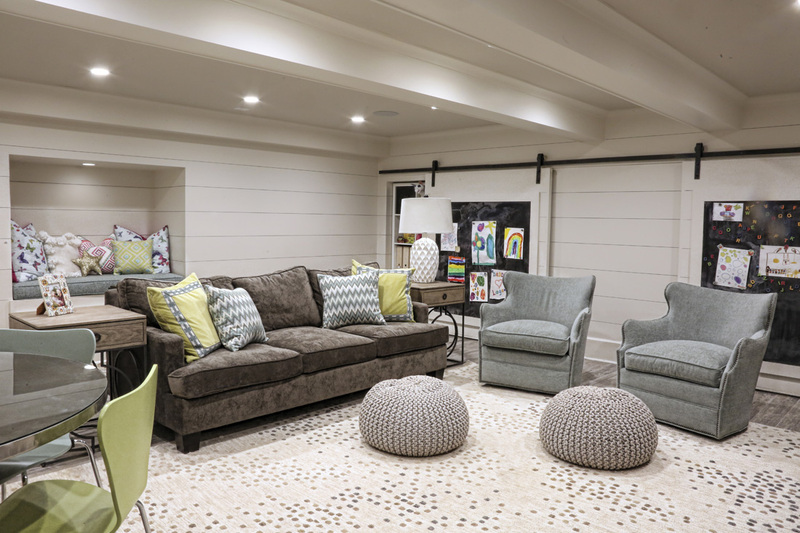 In the basement, they created a playroom for Logan, their 7-year-old daughter, that features plenty of toy storage hidden behind barn doors covered with chalkboards. A small alcove is filled with cabinets, a sink and a Viking Professional beverage cooler. Out back, they now have a covered porch complete with a built-in grill. “We wanted [to get] more use out of [the porch],” Michael says. Heidi concurs. “It’s really comfortable,” she says. “We spend a lot of time out there.” The back porch looks over a small swimming pool, something not common in the neighborhood. “It’s like a little private oasis in the middle of Midtown,” Michael says. “The trees on the right and the crepe myrtle have created a canopy of privacy back here.” A simple addition to the front porch also had a big impact on the Cobles. “Since we put the swing on the front, we spend a ton of time out there,” Heidi says. In 2011, interior designer Kate Fleming of Pineapple House Interior Design came onboard to put the finishing touches on the home’s redesign. 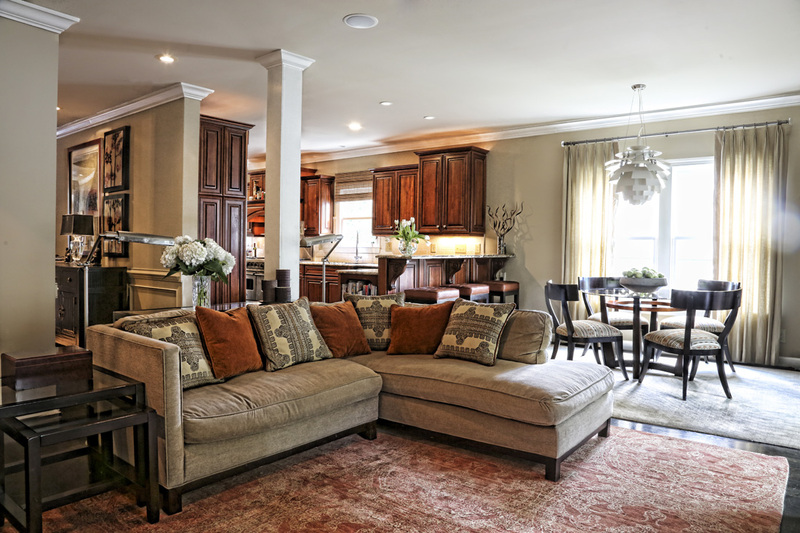 The Cobles love the home’s open floor plan that allows them to spend quality family time together. The Cobles worked hard to create a home where their family could relax but would also serve as a lovely place to entertain. “It’s sophisticated yet casual and comfortable at the same time,” Fleming says. “There’s not a room here that you don’t feel like you can’t live in, that you can’t enjoy.” Michael is quick to chime in, “Where kids can climb, because it’s been proven,” he says, laughing. 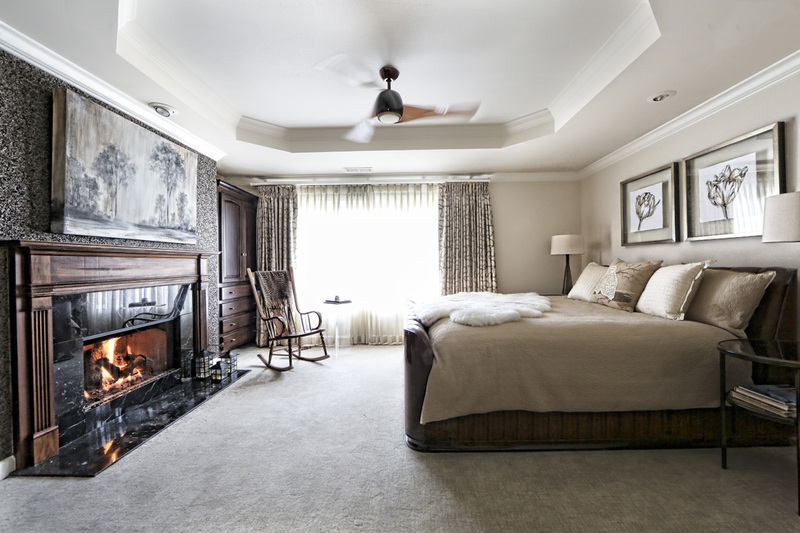 The Cobles redesigned the master bedroom to create a private escape where they could relax. The comfort is reflected in the furniture in the family room, which includes a Mitchell Gold+ Bob Williams chenille couch and Bernhardt chair with a neutral linen on the outside and a woven chocolate fabric on the inside. The library also contains comfortable furniture, with its Duralee sleeper sofa and Century cocktail tables. 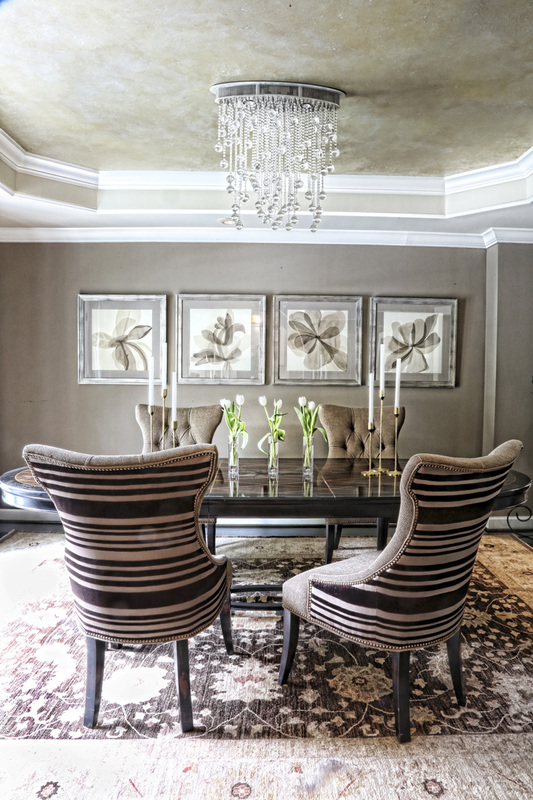 The cascading light fixture adds a whimsical touch to the formal dining room. Michael quickly relays another reason why the wait was longer than expected. “The electrician who came to hang it had cut every strand perfectly even,” he says. They had to contact the manufacturer in Italy for replacement wire, which they then used to restring the “bubbles” so they cascaded down. “It took a couple more months to do that,” Michael says. “It was a challenge.” The artwork in the home is a mix of personal favorites and pieces chosen as part of the interior design. For instance, just inside the front door hangs a Peter Max painting Michael purchased for Heidi as an anniversary gift. “That’s my favorite,” Heidi says. She also likes the painting of trees by Atlanta artist Jay Scott that hangs over the fireplace in the master bedroom. For the Cobles, the only distraction to the overall look of their home is the neighborhood market that sits right next door. However, they covered the wall between the structures with creeping myrtle that, as Michael says, has greatly compartmentalized the house from its neighbor. The basement features Logan’s playroom, complete with plenty of storage behind the barn-style doors. 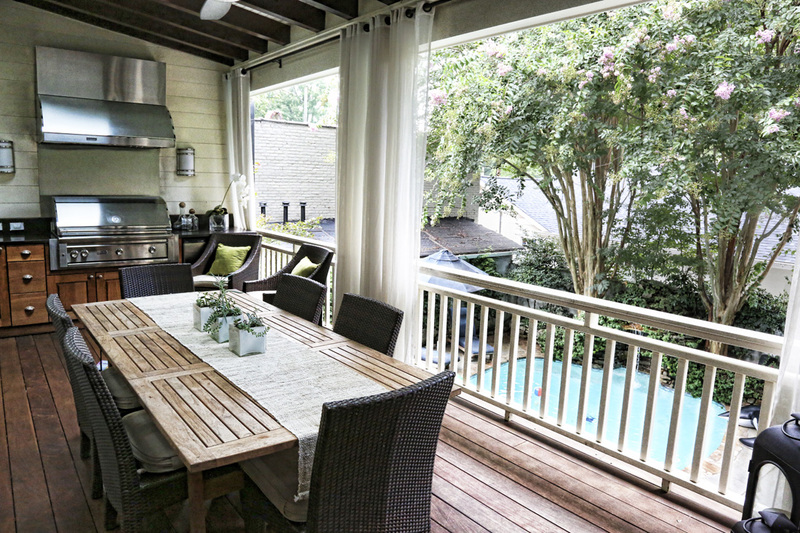 With its covered porch, built-in grill and swimming pool, the backyard is a “little oasis in Midtown,” as Michael calls it.